Need a new handbag for fall? The Glenda Gies Vivian Peacock Blue & Chartruese Feather Handbag blends the history of Hollywood glamour with today’s modern fashion. This bag is impeccably constructed, and is the ideal accessory for all your fall looks. 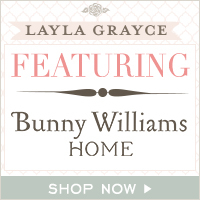 If you’ve been planning on re-decorating a room, check out Layla Grayce’s amazing furniture. I fell in love with the Eloquence Sophia Upholstered Tufted Bed. This grand bed looks as if it belongs in a dream and would transform any bedroom into a luxurious space with a five-star ambience. If you are searching for a unique baby gift, look no further. The Kashwere Kreature Blanket Bear is perfect for naptime snuggles and bedtime hugs. This unique blanket is just the right size for little hands, and features a teddy bear head. It’s too cute for words!